A range of quality products for everyday use. 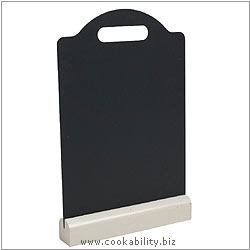 Large free standing chalk board with cream painted foot. Clean with a damp cloth and wipe dry.